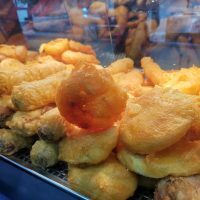 Crowd funding is a great concept, from projects that can include a tub of potato salad right through to a flying bicycle there are some grand ideas out there that range from the sublime to the ridiculous. One project that could certainly be viewed as promising is the Jolla Tablet. Jolla are the Finnish company that produced the Jolla Phone running the Sailfish OS which itself was borne from the ill fated MeeGo project. After successfully entering the mobile phone market a year ago with our unique Jolla smartphone, we are now proud to introduce our next major project, the Jolla Tablet. Jolla’s independent open Sailfish OS with its cutting edge user experience works perfectly on bigger screen sizes, and we are super excited to bring the world’s best multitasking experience to the tablet size. For the Jolla Tablet we are partnering with Intel, to secure the best device performance, and reliability. Provided that the campaign hits its targets, the Jolla Tablet shipments are expected to start in the second quarter of 2015 for the first contributors on Indiegogo. So, fancy being a part of something different? Early contributors (first thousand) can get in on the act for only $189 and the campaign is made available in all EU countries, Norway, Switzerland, United States, India, China, Hong Kong and Russia. Full information can be found on the Jolla Tablet information page whilst the full press release can be seen below. Helsinki, Finland – November 19, 2014 – Jolla, the mobile company from Finland, today announced the Jolla Tablet, the world’s first tablet crowdsourcing project, starting on Indiegogo now. After a year on the market with its first product, the Jolla Smartphone, the Finnish mobile company Jolla now introduces the Jolla Tablet, a crowdsourcing project in the popular Indiegogo crowdfunding platform. 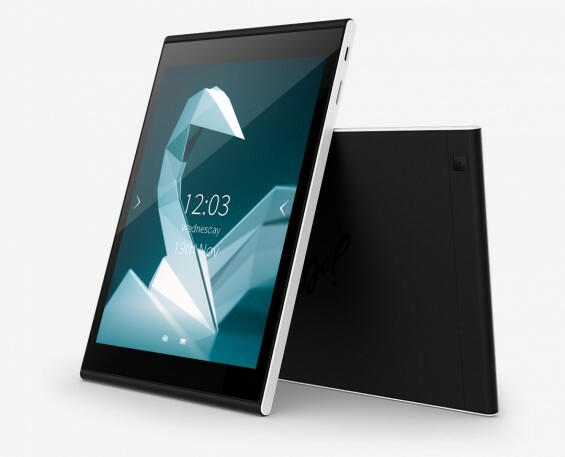 Designed and developed in Finland, the new Jolla Tablet will run on Jolla’s independent operating system Sailfish OS. The Jolla Tablet Indiegogo crowdfunding campaign aims to give the worldwide Jolla fan community, and everyone else, the opportunity to take part early to the project. Jolla will work closely with the community also in the development phase of the Jolla Tablet. Provided that the campaign hits its targets, the Jolla Tablet shipments are expected to start in the second quarter of 2015 for the first contributors on Indiegogo. The Jolla Tablet introduces high performance at a very attractive price. The Jolla Tablet runs on Jolla’s independent and intuitive open mobile operating system Sailfish OS with Android application compatibility. The Jolla Tablet has a 1.8 GHz Quad Core Intel processor, 2GB RAM, 32GB memory, 7.9” 2048×1536 display and a 5MP camera. Customers can now contribute to the Jolla Tablet project through the Indiegogo campaign starting at $189 for the first batch of contributors. 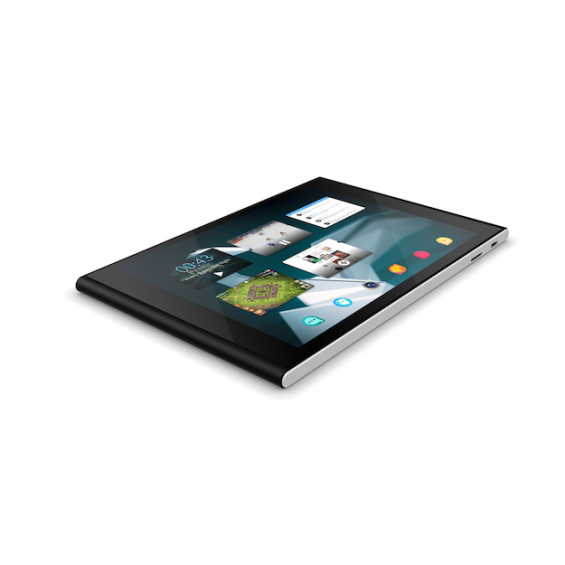 Jolla’s independent mobile operating system Sailfish OS is the heart of the Jolla Tablet. It is built to give you the best multitasking experience on the market, showing all your running apps conveniently in one single view. At a glance, you’ll see everything that’s going on, as well as easily switch between apps. Sailfish OS is fast and easy to use with minimal efforts through simple gestures like flicks and swipes. Similarly to the Jolla Smartphone, Jolla Tablet is Android compatible, meaning that you can use Android applications in addition to the native Sailfish OS apps. Sailfish OS offers a lot of personalization options, so that you can build your own user experience, just the way you like it. Furthermore, you also have the option to run your favourite flavour of open Android OS on the tablet. Jolla values your privacy, which is why Sailfish OS is totally independent. It’s Jolla’s company policy that customer data is never sold or shared with anyone. There are no back doors or anything third parties could use for monitoring your activity. Jolla Tablet is now a gogo! Community support and DIT – Doing it Together, are of utmost importance to the Jolla way of operating. In order to get the worldwide community on board, Jolla started today the Indiegogo crowdfunding and crowdsourcing campaign. Marc Dillon continues: “Crowdsourcing has been the foundation of so many amazing, inspiring and independent products, and what it stands for taps directly into Jolla’s ethos. We have a strong worldwide community supporting us, and we want to give people the opportunity to contribute early and take part in the Jolla Tablet campaign. By contributing you also have the opportunity to have your say in the actual development of the product”. The Jolla Tablet Indiegogo crowdfunding campaign is now on, and early contributors (first thousand) have the chance to participate and be the first ones to get in on the Jolla Tablet project for just $189. The campaign is made available in all EU countries, Norway, Switzerland, United States, India, China, Hong Kong and Russia. Assuming the campaign hits its targets, the Jolla Tablet shipments are expected to start in the second quarter of 2015.